Augustus Washington was one of the most talented and successful photographers in mid-1800s Connecticut. He was also an African American. Washington lived in Hartford from 1844 until 1853 and was actively involved in the Abolitionist Movement and the life of Hartford’s free black community. Though his work depicts people of different classes and cultures, ironically, no portraits of African Americans survive from his years in Hartford. Augustus Washington, the son of former slaves, was born free in Trenton, New Jersey, in 1820. Determined to get an education, and working against the odds of poverty and racial prejudice, he attended schools in New Jersey, New York, and New Hampshire. Although he was ultimately admitted to Dartmouth College in the fall of 1843, he was forced to leave after one year for financial reasons. 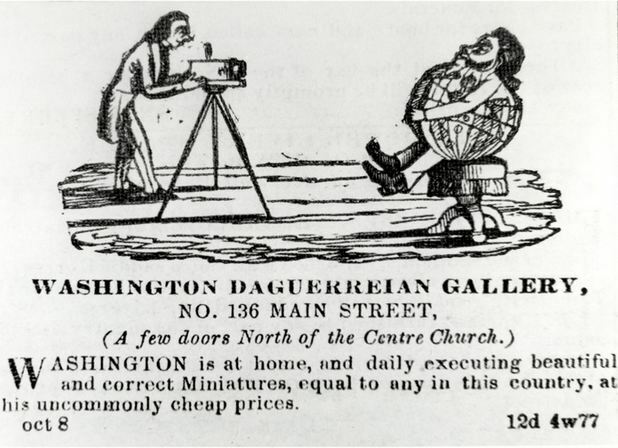 In addition to working at a variety of other jobs, Washington learned the skill of “daguerreotypy” in order to make money to pay for his education. The daguerreotype, named for Louis-Jacques-Mandé Daguerre who invented the process in 1839, was the earliest form of photograph to become widely available. Its precise mirror-like images seemed miraculous to a public that previously had known only artists’ renderings. Washington came to Hartford in the fall of 1844 to run Talcott Street Congregational Church’s North African School, one of two schools in Hartford for black students. Under the leadership of the Reverend James W. C. Pennington, this church was a hub of regional anti-slavery activity. Believing that African Americans could not “develop [their] moral and intellectual capacities as a distinct people” in the United States, Washington and his family left Hartford for Africa in 1853. He became a prominent citizen of Liberia, a West African colony founded in 1820 for freed American slaves and others of African descent. Shumard, Ann M., National Portrait Gallery (Smithsonian Institution), and Connecticut Historical Society. 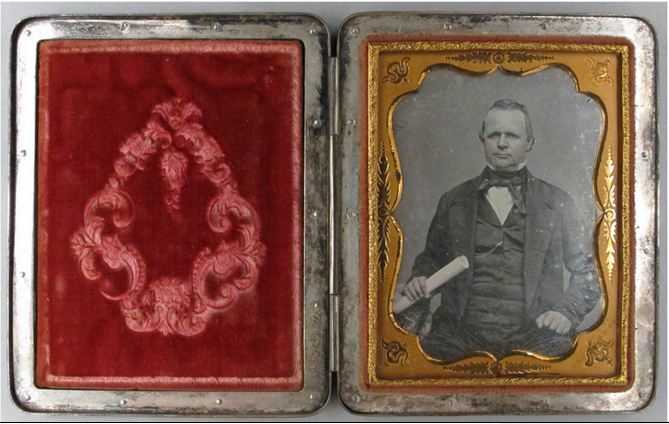 A Durable Memento: Portraits by Augustus Washington, African American Daguerreotypist. Washington, DC: National Portrait Gallery, 1999. Sullivan, George. Black Artists in Photography, 1840-1940. New York, NY: Cobblehill Books, 1996. NiJhuis, Michelle. “A Portrait of Immortality, Faded.” The New Yorker. July 30, 2013. Link.